The first round of analysis helped us to prioritize 10 material supply chains we wanted to further look into. We started by looking at which materials are most used heavily by the consumer electronics industry and how critical they are for phone functionality. We then combined that information with findings from our recycling and mining indicators. As a result, we came up with a shortlist of 10 materials: copper, cobalt, gallium, gold, indium, nickel, tantalum, tin, tungsten, and rare earths. As we went through this process, we uncovered a ton of information about these 10 materials – and we think you’ll find it just as intriguing as we do! To make our research more accessible, we’ve created a special material profiles report that highlights the issues and opportunities related to each. Where is it found in the phone? We want to know which of these materials appear in which components, and if they are especially concentrated in one component. This can help us decide which components (and suppliers) to look at first. It’s also interesting to know if other products and sectors use the exact same component. If so, it may offer a great opportunity to join forces. What are the specific issues? So in other words, what’s issues can be found in each supply chain? We started by looking at the association with environmental and social issues, especially during the mining process. Are there health and safety issues? Water depletion? Toxic waste? We also want to know about the overall material depletion and recycling rates. Together, these indicators can point us to the supply chains that could potentially benefit most from improvements. Where is it being produced? 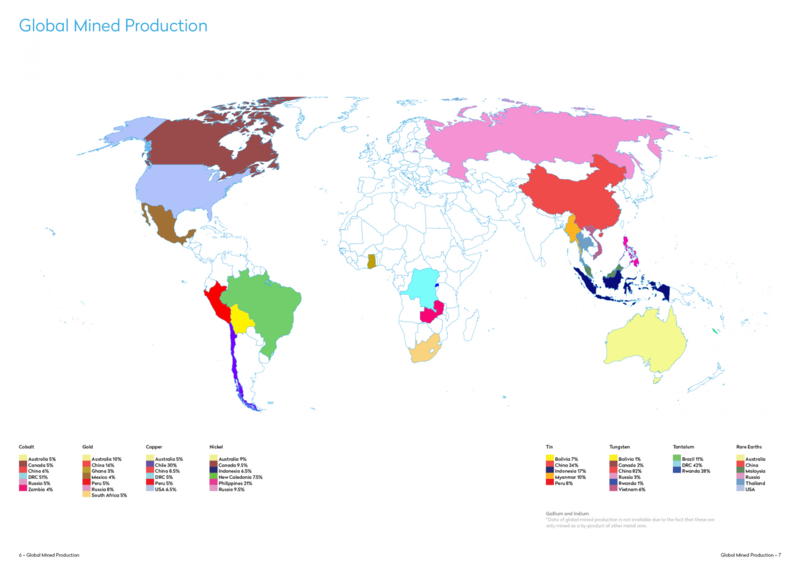 Many of the issues are deeply tied to the countries where the materials are mined. So we’re looking at the mined production levels per country and the contribution that mineral industries make to GDP, as well as the stability of the government, risk of corruption and the ease of doing business there. All of this helps reveal where improvements are most necessary, as well as where they might be too challenging to pursue right now. What’s being done and who can we work with? Finally, we’re looking at opportunities for industry-wide collaboration. Are there already industry associations connecting users and sharing best practices? Or are these not active yet and could they do more to encourage their members to clean up their supply chains? Are there existing supply chain or research initiatives that we can partner with? Greater awareness and established networks make it easier to start making a difference. By now, you might be a bit overwhelmed by all the methodology behind our materials scoping process. To make things more tangible, let’s look at a few examples of the challenges and opportunities we discovered during this phase of our research. Rare earths: Of this group we researched 3 different elements which appear in components as diverse as the magnets in the speaker and in LCD screens. Besides phones, rare earths are also used by the automotive industry and in “green” technologies like wind-turbines and LED lamps. Mining rare earths comes with a huge range of social and environmental issues, and recycling of these elements is currently almost non-existent. Gold: This mineral has ultra-high depletion rates, meaning that the economically available gold, or the gold that can be dug out of the ground at a reasonable cost, is rapidly decreasing. 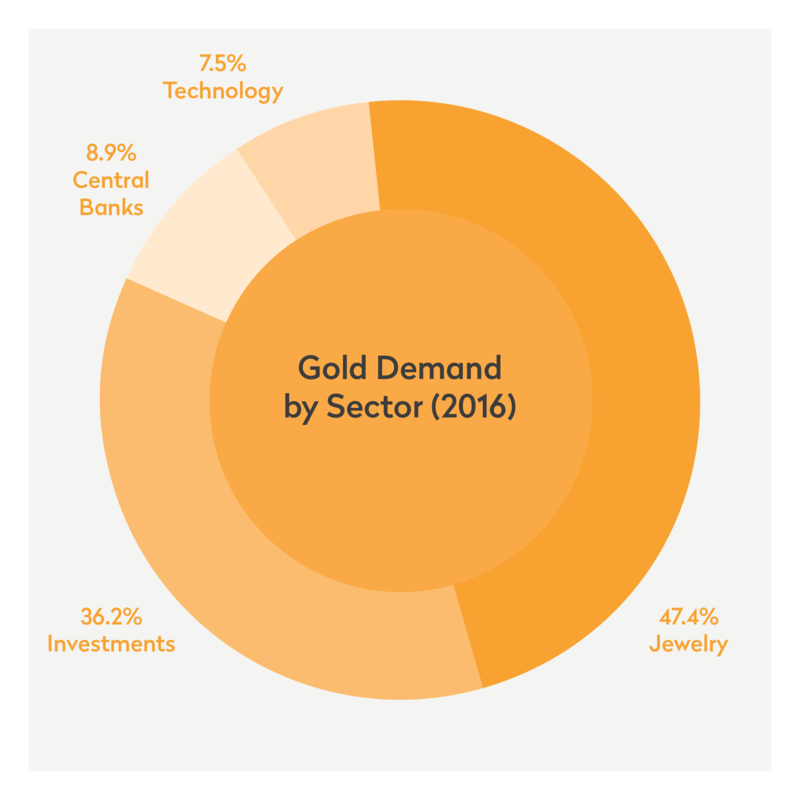 As the very large surface deposit of gold are mostly gone, it is likely that a greater percentage will come from smaller, often artisanal mines. Artisanal and small-scale mining (ASM) supports millions of families, but lack of formal oversight also means it could be vulnerable to a range of human rights issues. Therefore, engaging with artisanal gold mining has the potential to make a huge positive impact. Happily, there are multiple initiatives that are already working to improve artisanal gold mining conditions, and there are also a lot of existing options for encouraging recycling. Nickel: Current estimates say that in 350 years, there will be no nickel left to mine. The majority of the world’s production takes place in the Philippines, where several mines have been closed due to environmental concerns like pollution of rivers. On the other hand, high recycling rates offer opportunities to reduce mining activities. Copper: This mineral appears throughout the phone in large volumes and is highly concentrated in components like the PCB. Copper mining is associated with water contamination, environmental degradation and health concerns, as it is often found in combination with arsenic. This article on copper mining in Zambia makes it clear just how many problems can arise. 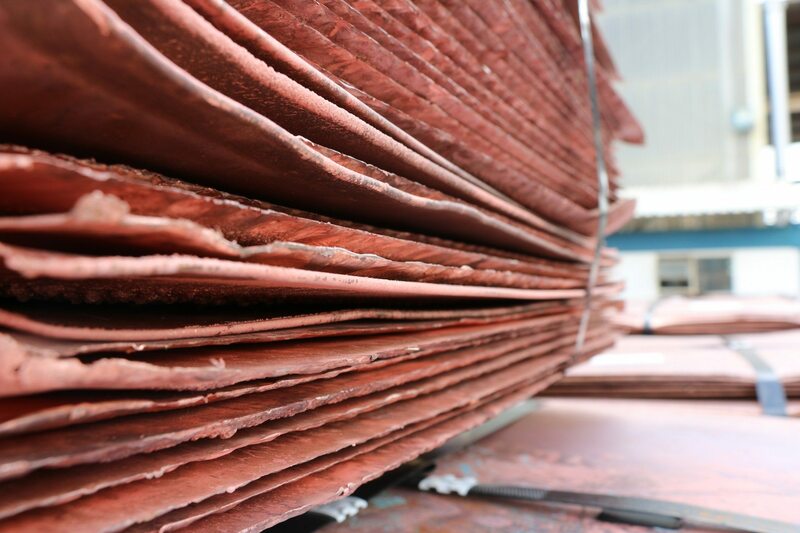 Copper cathodes processed in the DRC. Indium: Many people have never heard of it, but this element appears in tiny quantities in components like the LCD screen. Because it’s a byproduct from the extraction of other materials like lead and zinc, it’s considered quite rare as its supply is dependent on other mineral industries and therefore unstable. 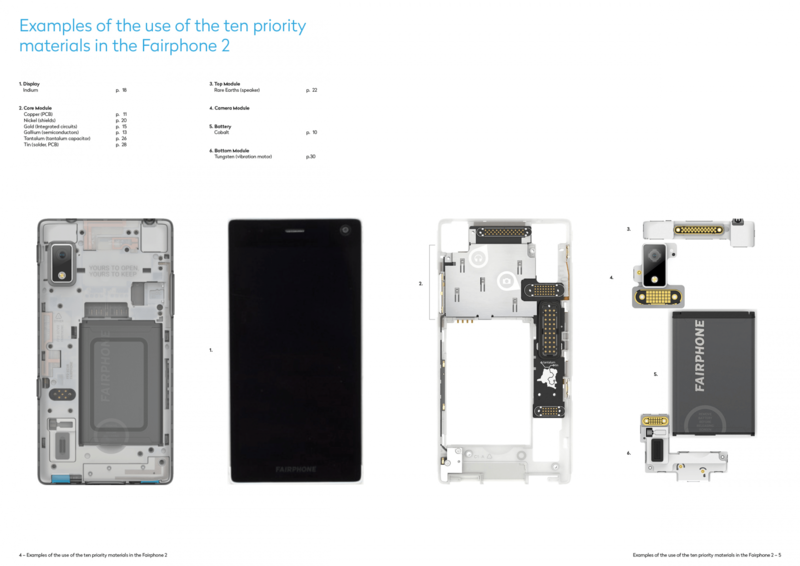 It's nice that fairphone care about the materials in the phone and want to inspire the entire industry to source more responsibly. 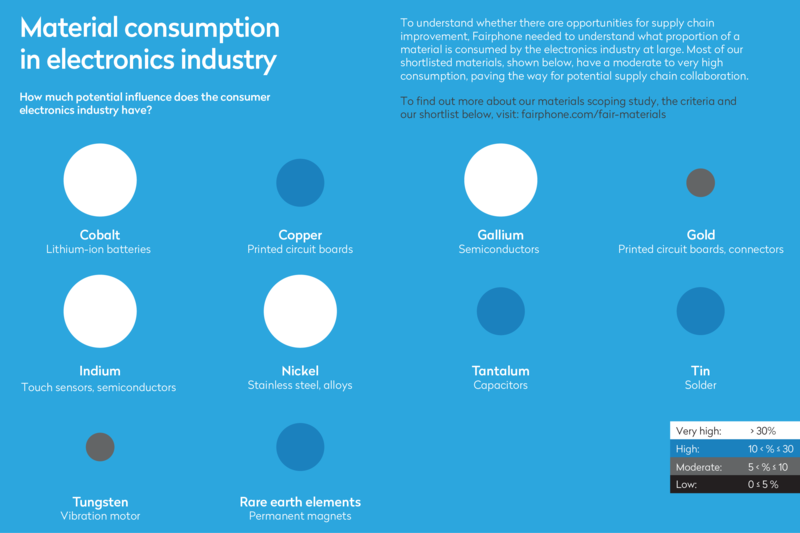 Interesting to know about Fairphone's material consumption.